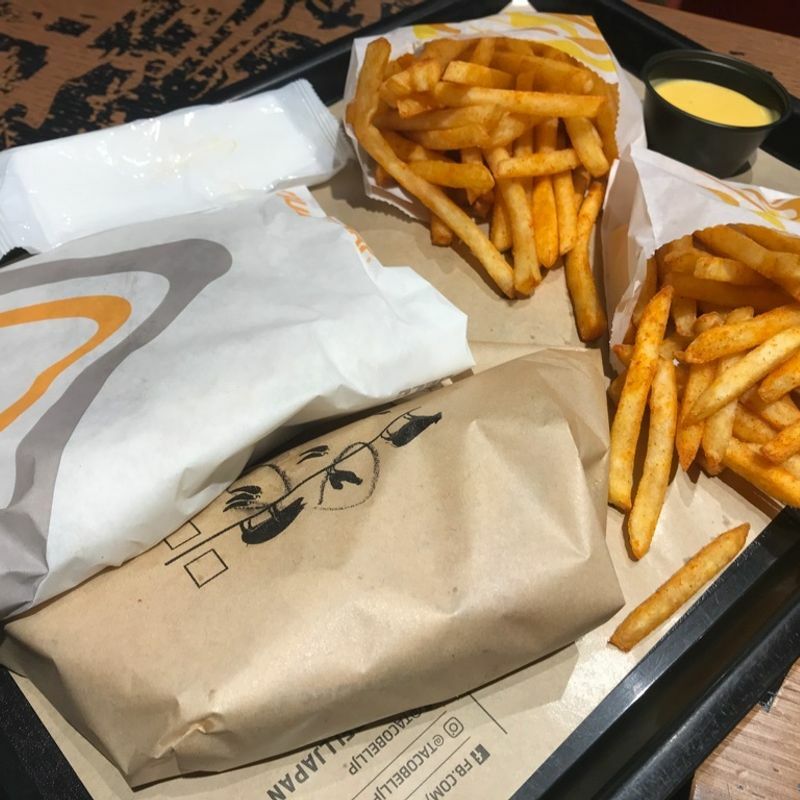 Thinking of the Taco Bell in America and coming to a Taco Bell in Japan, it's a completely different dining experience. 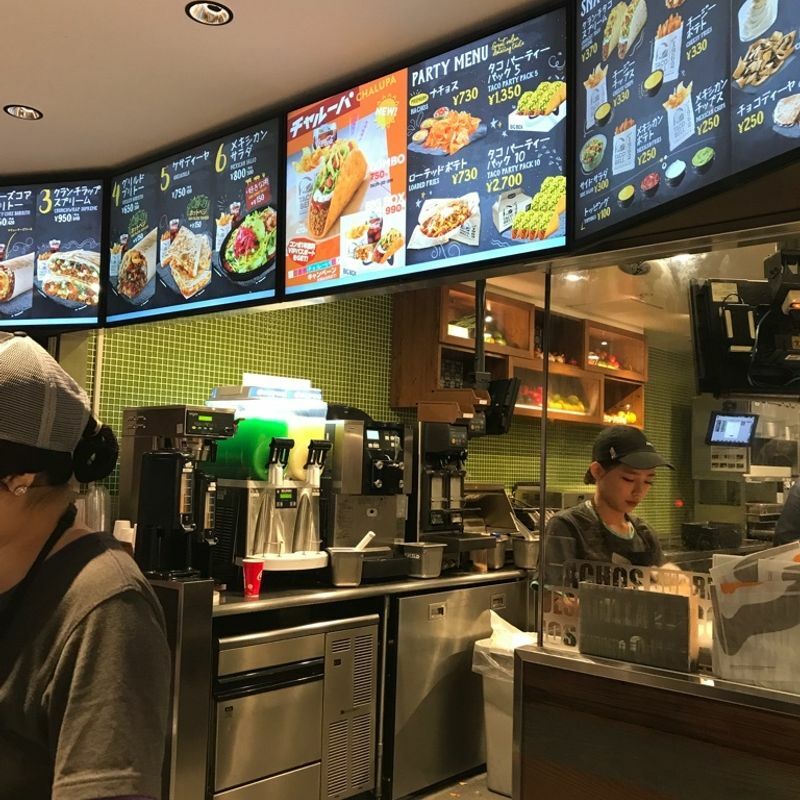 Taco Bell in the States isn't an expensive or fancy dining experience, whereas in Japan it's a pricy and kind of hip place to go. 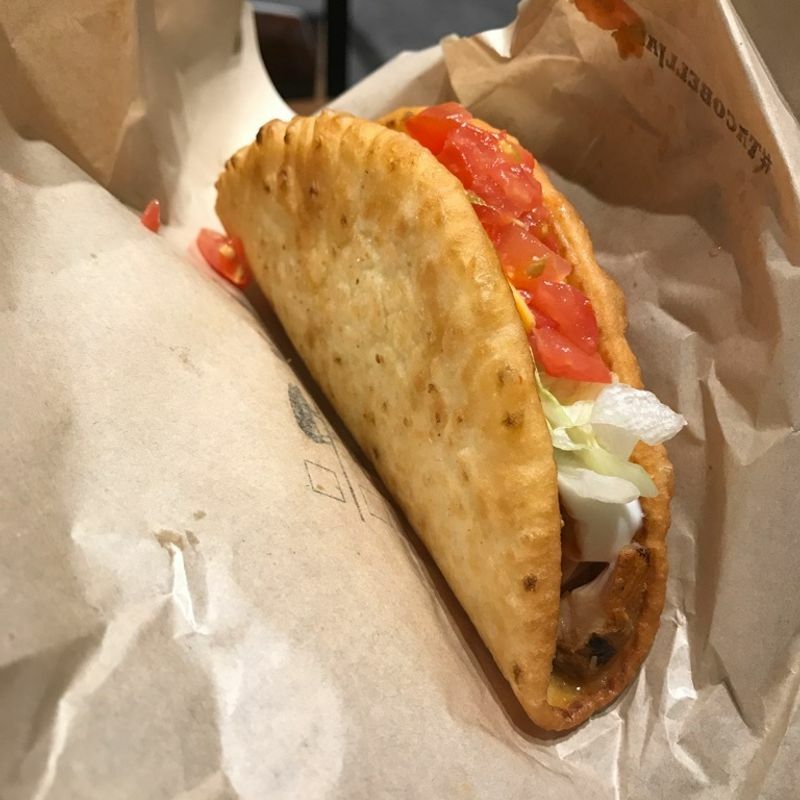 But, anywhere I can get a chalupa in Japan, I'm happy. Though, my chalupa wasn't fresh, which was a disappointment considering that I paid a good amount of money for it. The meals also come with either fries or chips. I recommend the Mexican fries. Another rarity is that you can refill your drink with soda or juice as many times as you like. You can order in English. The cashiers are pretty proficient. You can also save your receipt and fill out a survey to get a discount for your next visit. There's also free wifi.